Jolley, 32, played a total of 269 games and kicked 82 goals in his illustrious VFL career, including a club record 217 games at Williamstown. Captain of the Calder Cannons 2004 premiership team and the 2004 U18 Vic Metro team, Jolley was drafted by Essendon in 2005 and played four AFL games in 2006. He then went on to play 52 VFL matches with the Bendigo Bombers before crossing to Williamstown in 2008, captaining the Club from 2012-2017. In his eleven seasons at Williamstown, Jolley has won the Gerry Callahan Medal, the Club’s best and fairest award, a record-equalling four times: 2011, 2012, 2014 and 2015, and captained the Seagulls’ stand-alone 2015 Premiership team. The Ron James Memorial Trophy, voted on by the playing group each year for the player they feel shows respect, professionalism and sacrifices a player makes for the team, was presented to Ben for the ninth time, and eighth consecutive year, in 2017. 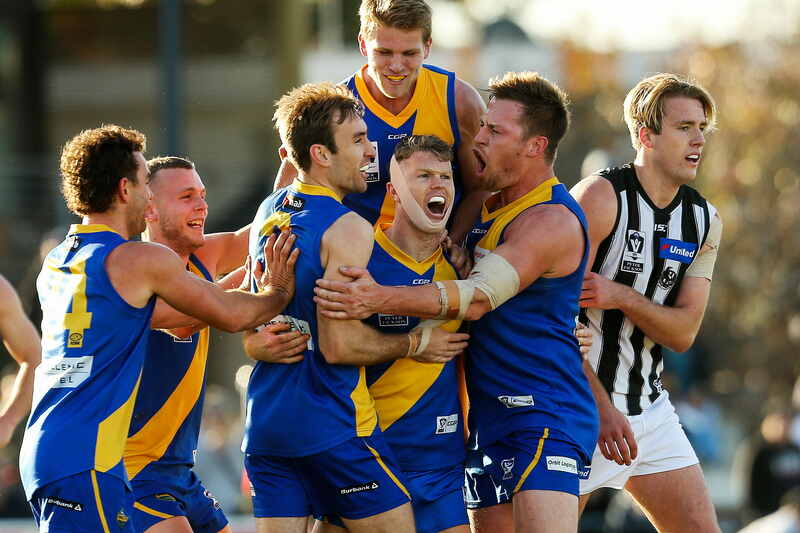 Jolley has been named in the VFL Team of the Year on seven consecutive occasions, twice represented the Victorian state team, and is a life member of both Williamstown and the VFL. 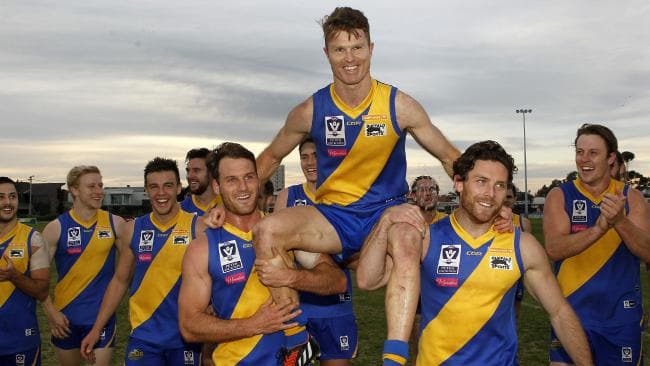 CEO Jason Reddick stated “In the 155 year history of the Williamstown Football Club, Ben Jolley’s record of achievements as a player and captain are second to none. Ben’s sustained performances at the top level are testament to the enormous dedication and professionalism that he has displayed in preparing himself, over his whole career, to be the best player he can be. As humble as he is, Ben is recognised as one of the most respected players in the VFL competition, will forever be remembered as one of the greats of the modern era, and will undoubtedly be inducted as an official Legend of our Club. More importantly than his on-field accomplishments however, the real legacy that Ben Jolley leaves behind at Williamstown is the amazing influence he has had on a generation of teammates, coaches, staff, volunteers, members and supporters. Ben has been an inspiration to everyone at the Williamstown Football Club, setting the standard of expectation on and off the field for all to follow, being a trusted friend to all, and being the most respected leader and representative that our Club could ever hope for. His nine Ron James awards are testament to that. Everyone who has passed through the doors of our Club over the last 11 years, is blessed to have met and learned from Ben Jolley”. “It’s no surprise that Ben has an amazingly supportive family and we thank his proud parents Phil and Carmel, wife Jane, daughters Ada and Lucy, brother Alex, sister Libby, and the extended family, for sharing in the wonderful journey that Ben has had with Williamstown.“ added Reddick. “I thank the Club for the opportunity that I have had during my time here. Williamstown has played a big part in my life over the past 11 seasons” said Jolley. “My time at the Club will hold a special place in my heart. To have been able to Captain the Club to the 2015 premiership, be awarded Club & VFL Life Membership, and have so many teammates become lifelong friends, is something that I hold very close to me” Jolley added. We congratulate Ben on a fantastic career and wish him and his family the very best for the future. One of the GREAT VFL players !! Congratulations Ben Jolley has been one of the most respected long serving players in the competition and he has had a fantastic career at Williamstown. Has been rumoured that Coburg are VERY keen to acquire his services. Reading between the lines I get the feeling that it may not have been his decision entirely to retire (from Willi). That's my mail Wal,wanted to go on but wasn't encouraged to do so,will land at Port or Coburg,inconceivable really but that's how Willy FC roll. All roads lead to Port ! !